This account provides the first comprehensive coverage of the insect and other arthropod pests in the urban environment worldwide. Presented is a brief description, biology, and detailed information on the development, habits, and distribution of urban and public health pests. There are 570 illustrations to accompany some of the major pest species. The format is designed to serve as a ready-reference and to provide basic information on orders, families, and species. The species coverage is international and based on distribution in domestic and peridomestic habitats. The references are extensive and international, and cover key papers on species and groups. The introductory chapters overview the urban ecosystem and its key ecological components, and a review of the pests status and modern control strategies. 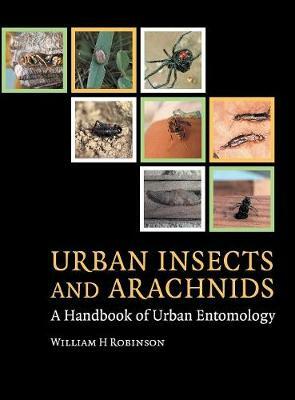 The book will serve as a professional training manual, and handbook for the pest control professionals, regulatory officials, and urban entomologists. It is organized alphabetically throughout.